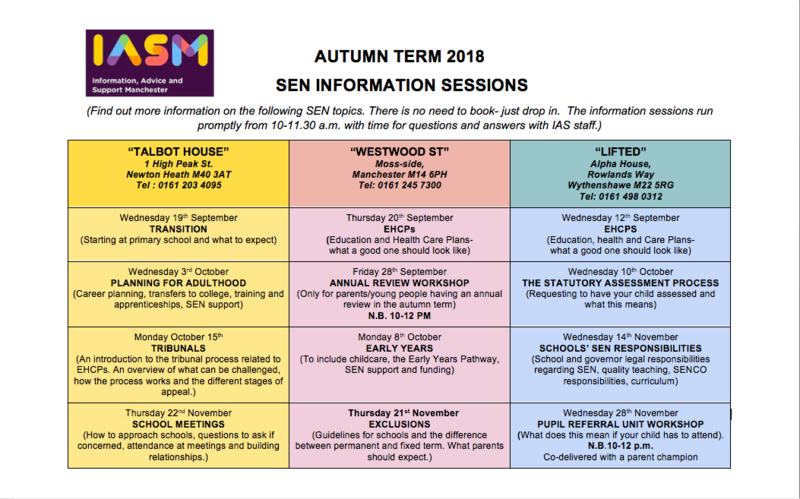 For Autumn 2018, Information, Advice and Support (IAS) Manchester will again be running a number of short, “bite-sized” courses about topics relevant to parent-carers of children and young people with Special Educational Needs and Disabilities (SEND). The courses will be delivered by a member of the IAS team, who will also be available to answer questions related to the topic covered on the day. 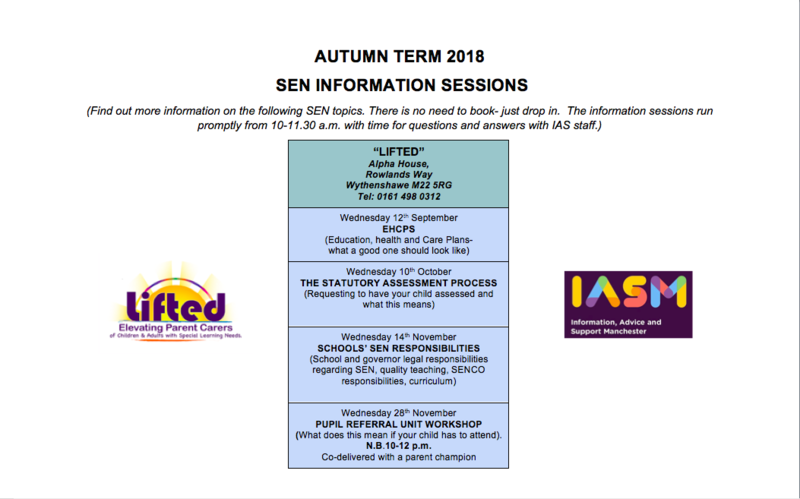 Lifted is one of the three locations where they will be delivering these SEND courses, which will be held at 10-11:30am monthly. For this day, the topic to be covered will be “Pupil Referral Unit Workshop” – what does this mean if your child has to attend. 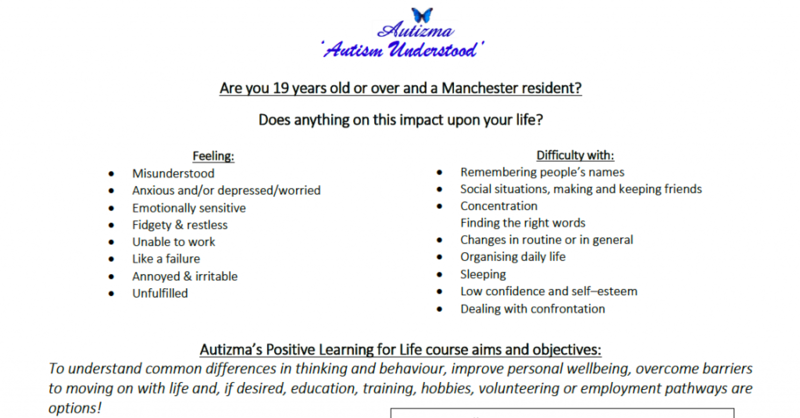 This course will be co-delivered with a Manchester Parent Champion.